The Galapagos penguin is the smallest of the South American penguins and only found on the Galapagos Islands in Ecuador. Adults grow up to 19 inches tall and weigh up to 5.5 lb. Females are smaller than males. The head and coat of the Galapagos penguin is black and its underparts are white. There is also a white line of fur running from its throat up around the head and meeting the corner of the eye. Its upper bill is black and its lower bill and the skin surrounding it is pinkish yellow in color. The Galapagos penguin prefers to dwell on the rocky coasts of the ocean where there are healthy populations of small fish to feed on. The preferred diet is sardines and mullets. The penguins use the rocky setting for making burrows and shelter for their nests. They rely on the coastal setting to keep cool from the hot sun and for feeding. Breeding can occur year round and the females give birth to two eggs. Both parents help with incubating the eggs for 38 to 40 days. After the eggs hatch, the parents must stay close by and keep the chicks warm for 30 days until they have grown a full plumage. The parents are then able to leave the the nests for longer periods of time in search of food. There is only a small population of Galapagos penguins, and unfortunately, the species faces possible extinction. 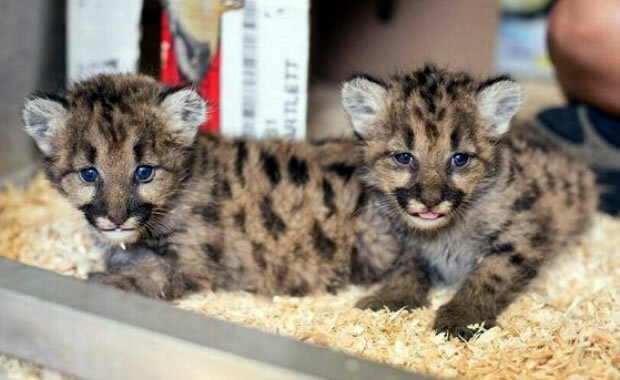 Threats to the species include destruction of suitable habitat due to natural weather conditions along with, human disturbance, predation from other animals in the area, and accidental entanglement in fishing nets. Copyright Notice: This article is licensed under the GNU Free Documentation License. It uses material from the Wikipedia article "Galapagos penguin". Glenn, C. R. 2006. 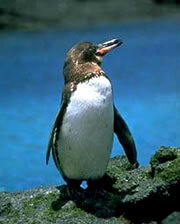 "Earth's Endangered Creatures - Galapagos Penguin Facts" (Online). Accessed 4/24/2019 at http://earthsendangered.com/profile.asp?sp=349&ID=11. Need more Galapagos Penguin facts?